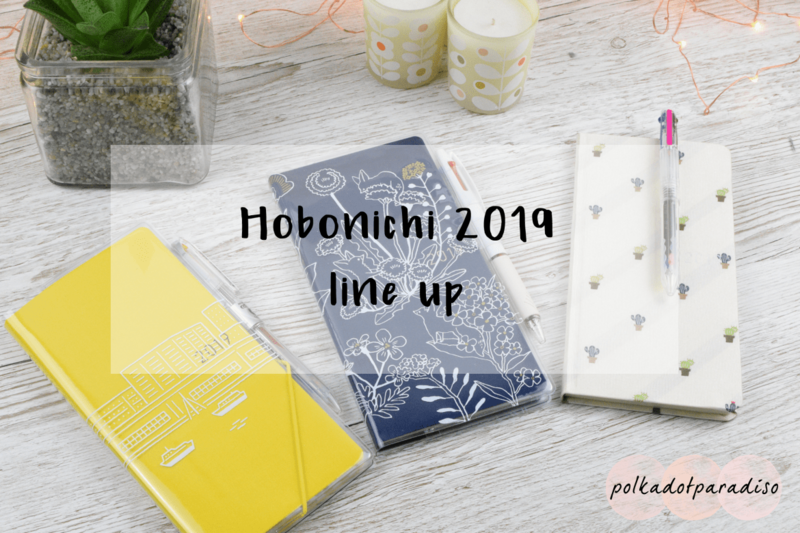 As the 2019 Hobonichi Weeks officially began this week, I figured it would be a good time to show you my planner line up for 2019. I originally called this a set up post, but really I haven’t 100% decided on how I’m using these. Instead I’m going to show you what I’ve bought, what I think I’m going to be using for them for, and the process I’m using to decide. Lets get the easy one out of the way. I purchased another Cousin for next year. I’ve absolutely loved using this since April and although I’ve been playing with using the Weeks as a main planner lately, this is still my intended main planner for 2019. My current Cousin is a Spring edition because I came to Hobonichi later on (although in hindsight I should have just bought a Jan start one for 2018). For 2019 though I’ve bought a fresh new Jan start one. I like the idea of starting a new year with a nice new planner. While my Aliexpress cover is looking a little dirty, as this only ever sits open on my desk, I’m in no rush to replace it. I’m currently not intending on changing up how I use the Cousin. It will be my main life planner and also have the majority of shop and blog planning in. Yearly pages I’ll use for blog planning/editorial calendar. Monthly pages will be used for general planning and tracking my skincare. Weekly pages as this year will house all my planning and habit tracking. Daily pages will have some daily planning but will also house ‘collections’ such as shop and blog planning, TV show trackers and notes. I really struggled to decide between the Banana and Navy Weeks, so I bought both. Once they arrived I decided which would be used as my everyday carry. As it matched my new drawer pouch perfectly, I went with the Banana. Although I prefer the ‘hide and seek’ cover (which you’ll see below on the Navy), I do think this ‘quiet harbour’ cover looks better on the Banana. I want to get a bit more out of my everyday carry in 2019 so I’ve changed up how I’ll be using this. Yearly will be used to plan social media. Monthly will have general plans and also finance planning. Weekly everyday planning and habit tracking. Notes will house my expense tracking pages. While I don’t necessarily like having my social media separate I’m hoping this will help with planning. If I have a collection in my Cousin with all my photograph ideas I can then have that open while I plan what will be posted each day in my Weeks. Currently it’s all in my Cousin and I have to flick back and forth between the pages. So what did I do with the other Weeks? It came with me to work and has been amazing as a work planner. I used the note pages before this week and then moved into the weekly pages proper. I’m using this with the bullet journal method and I love it. I feel so much more organised with it and on top of my tasks. Before I tried to use One Note like everyone else I work with and I just couldn’t do it. There’s nothing better than having everything written down in front of you, rather than on a screen. I’m also using this with the Hobonichi pen as I knew if I tried to use the Coleto I’d just smear ink everywhere. I actually love this pen! I didn’t think I would but it’s now all I use. So how did I end up with a third Weeks? I kept seeing the succulent/cactus Weeks and was kind of pondering about whether to purchase it. I had no idea what I would use it for but it was so pretty! When I purchased my Cousin I decided to pick up a few other bits at the same time ‘to make shipping worthwhile’ and this ended up in my cart! I realised pretty quickly I could put this planner to good use. Yearly pages will be used for daily weight tracking (currently being done in my EDC). Monthly pages will be used for fitness tracking (again, currently being done in my EDC but there isn’t enough room really). Weekly will be used for meal planning and shopping lists. This has a perfect layout for this, with meals down the left hand side and the black page being used for a shopping list. Notes pages will be used for recipes and meal ideas. I don’t think I’ve ever successfully managed three planners for at home before. However, I’m being optimistic for 2019! Given they pretty much all have distinct uses (with a little overlap between the Cousin and EDC which is necessary) I’m hoping they’ll work for me. If you haven’t seen my post on planning your planners it’s a more in depth explanation as to how I plan out my planner usage. I basically used the same process and used a page in my Cousin to plot out it all out. On the left I wrote down everything I wanted contained in a planner. On the right, I wrote each part of each planner and then moved everything from the left to the right so it all had a home. Have you decided on your planners for 2019? If you have a Hobonichi Weeks have you started it yet, or are you waiting for January like me? I’d love to know in the comments below!